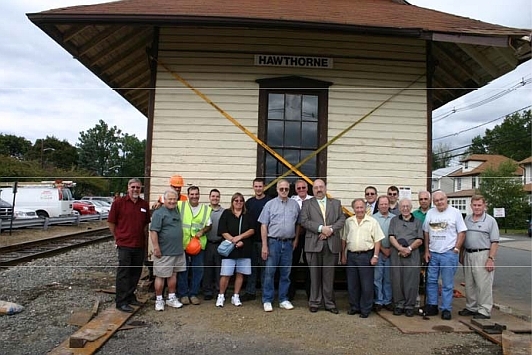 Hawthorne Station Update 11-2010 – Volunteer Railroader Association Inc.
September 17th 2010, remember that date. That was the day of the final move to get the station onto it’s new foundation. That was also the end of one phase of the project and the beginning of the next. 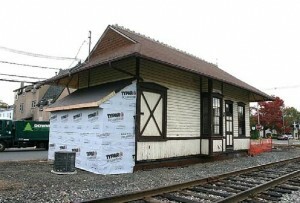 Since that date we have made a lot of progress getting the station back into good shape. We added the addition on the North side that covers the stairwell going down into our new basement, thanks to the crew from Abbood Construction. 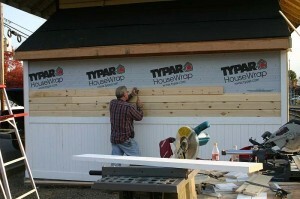 Mike Abbood, the owner, also made a donation of some roofing material and loaned us a tool to put it down. Hawthorne Mechanical reconnected the water and sewer and is working on the gas line this week. We had a lot of help from Ed Newman the owner of Command Electric. He did the most work and he also volunteered to help us with a few other things. Ed ran all the new wiring in the basement, put in a sub-panel to handle the new service, put on the new meter, ran the new line that PSE&G will use to hook up the power, put in new fire detection and a few other things I am sure I am forgetting. 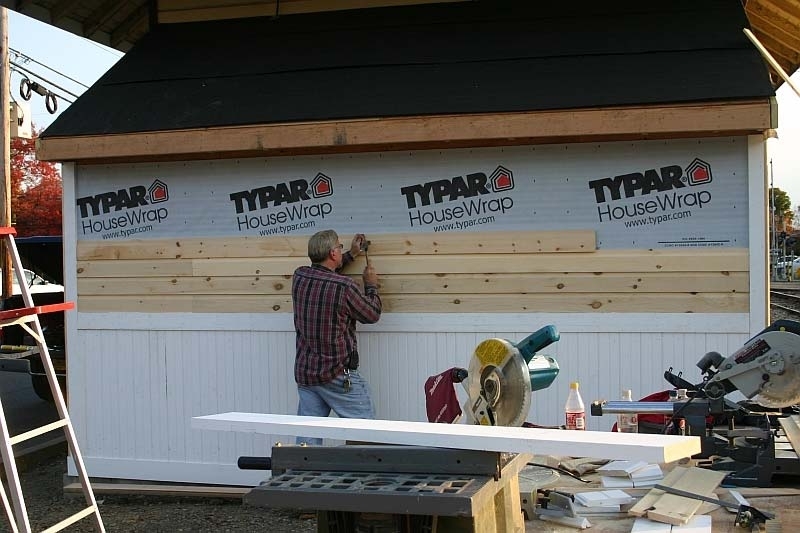 In addition Ed helped guide us through the process of putting on the siding on the addition, helped us build the new closet where the old back door once was and he loaned us tools to make the job easier or is some cases even possible. I cannot thank Ed enough for all he did. Andrea Rebner led our volunteer crew as they spackled over the holes and cracks on the inside walls and then painted the ceiling and primed the walls. We still need to put the final coat of paint on the walls but that will probably have to wait until after the Santa Train on on December 4th. New members Frank Ball, Mike and John Goralski gave a lot of time to get this work done as did a number of other members. We also started working on the area where the station once stood. After the move we realized that the old foundation should stay and be incorporated into the new park, so we went about cleaning off all the old concrete and dirt and started to lay back down some of the bricks that were removed during the move. If you have not seen this area since the move you will want to stop by. 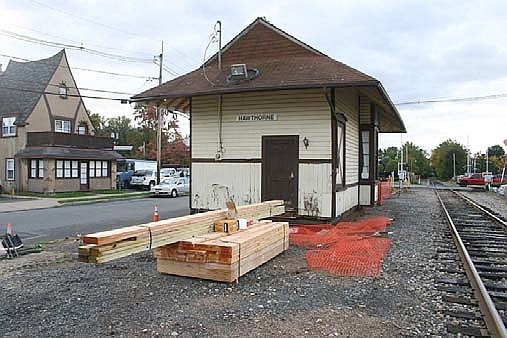 It is a very strange site to see as you come down Diamond Bridge Ave.
Other work that has been done includes painting of the steel frame that the station now rests on (thanks Charles and Tom), cleaning up the area all around the station, siding and priming the new addition and a few other things I am sure I am forgetting. We have had a decent turn out of volunteer but I would like to see a lot more as time goes on. 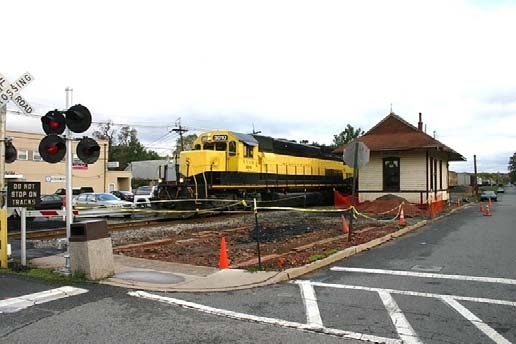 We have a goal of April 29th 2011 to get the station finished and it is going to take a lot of people working many long hours to make that happen. If you are not already a member of our Yahoo group I suggest that you join. If you are a Yahoo group member and do not have you’re your e-mail setting at least set for the Daily Digest please make that change. I say this because we use the Yahoo group as our main communications tool and if you are not getting the e-mails you will not know when we announce a work day. I have said this before and I will say it many times more as time goes by, we cannot do any of the good and fun things we do if YOU do not volunteer to help. 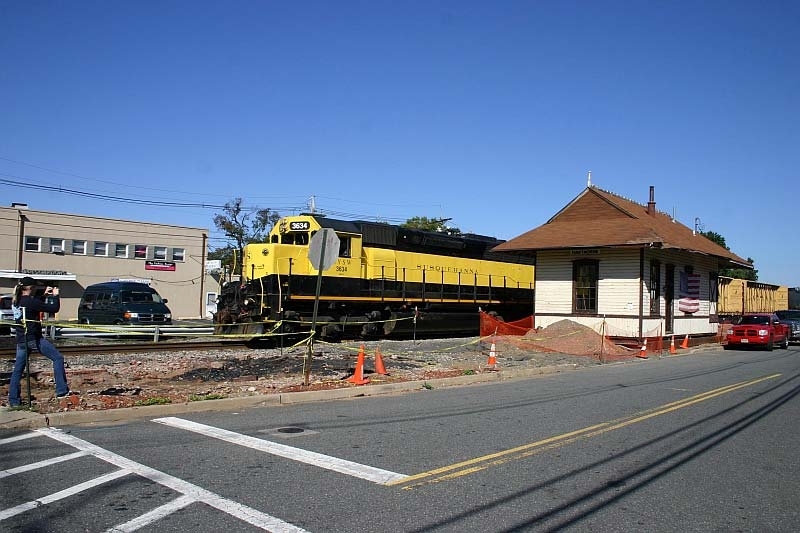 The move of the station and all the work we will need to do to get it ready to reopen is the biggest project this group has ever undertaken. A few people have put many hundreds of volunteer hours into this project and without them we would not be anywhere near as far along as we are. I want to thank them without naming them, they know who they are and they are not looking for the recognition. These people have had the help of a dedicated group of VRA members and they need even more help from those who have volunteered and those who have not. Please consider coming out to volunteer when you can, the station and you will be glad you did.